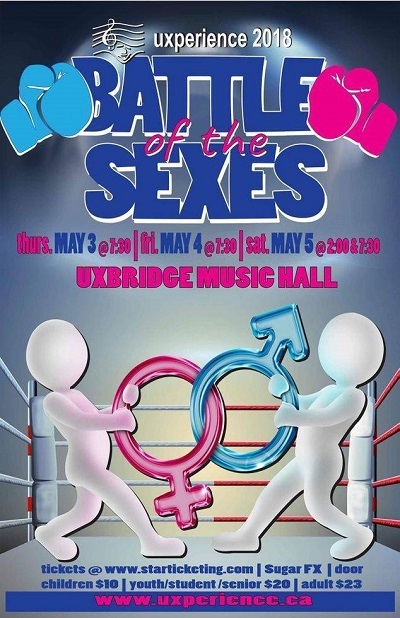 Uxperience presents Battle of the Sexes. An annual fundraising variety show supporting the local community. Tickets are: $23.00 for adults, $20.00 for students and seniors, $10.00 for children. All ticket prices include taxes, ticket fees and Music Hall improvement fund.